When the sugars in an onion break down, the vegetable becomes softer and sweeter. Caramelized onions are made by cooking a chopped or sliced onion over low to medium heat in butter or oil. 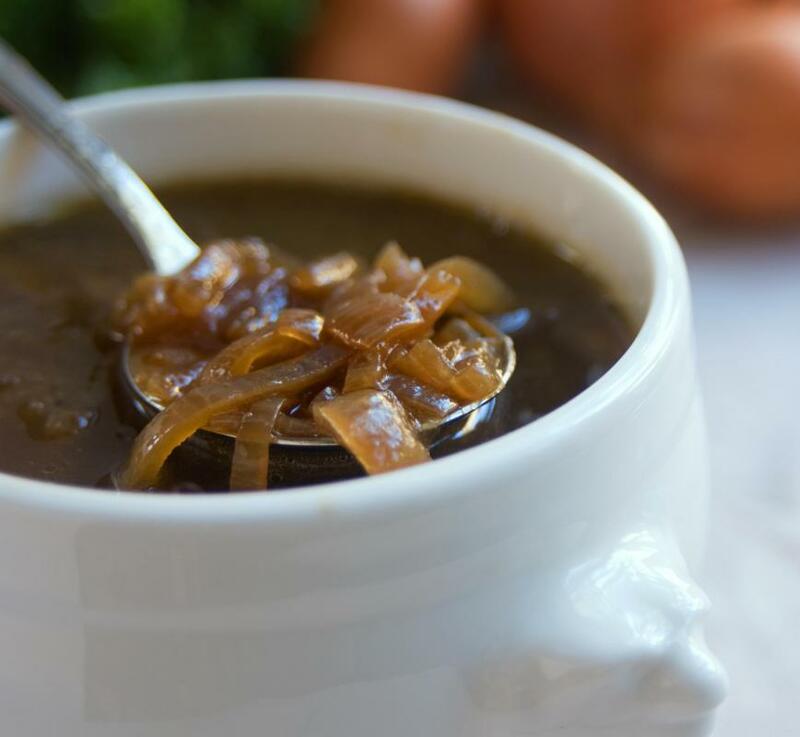 Carmelized onions are the main part of French onion soup. Caramelized onions are sliced or diced onions that have been cooked over moderate to low heat for enough time to allow the sugars they contain to break down and brown, creating onions that are a deep golden brown color, soft and rather sweet. Unlike browning onions, it takes consistent moderate heat, time, moisture and some attention while cooking to create caramelized onions. 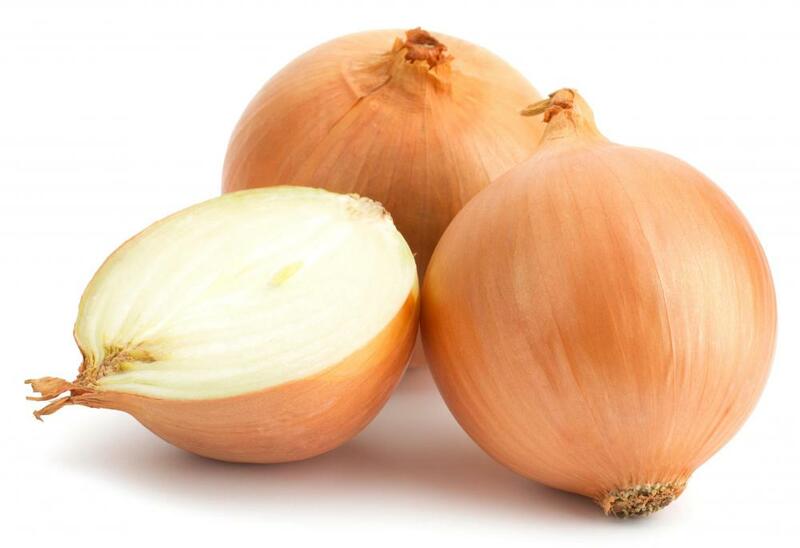 The distinctive color and taste of the onions allows them to be used as the main ingredient in dishes such as French onion soup, sweet preserves and some Indian curries. In some instances, caramelized onions are used as a condiment, as a topping, or even as an appetizer when served in a bowl with some salt or a sprinkling of vinegar. The extreme reduction in moisture that takes place during cooking means the resulting volume of onions once caramelized will, in most cases, be less than half the original, uncooked volume of onions. Onions that are going to be caramelized traditionally are chopped into strips or large pieces. This can be beneficial while cooking, because the onions will reduce in size and smaller pieces might burn. The pan used for cooking the onions generally has a thick, heavy bottom to ensure that heat is distributed evenly and to prevent hot spots that could burn the onions. The process of making caramelized onions begins with a hot pan. Oil is placed in the pan and allowed to heat. Butter is sometimes used in addition to oil, but the milk solids can burn easily, so it is not usually added alone or too close to the start of cooking. The onions are placed in the hot pan over medium heat and allowed to cook. The entire process, from beginning to end, can take anywhere from 20 minutes to an hour or more. To make caramelized onions, the sugars in the onions need to be allowed to break down and brown. One thing that can prevent this from happening, and potentially increase cooking time, is that the onions can start to steam instead of fry. For this reason, caramelized onions are not cooked in a covered pan and the pan should be large enough that the onions are not crowded into a pile, which will cause them to steam. As the onions cook, a fine balance is maintained to prevent the onions from burning. The onions need to be stirred to ensure that all the surfaces come into contact with the hot pan, but they also need to be left alone for periods of time to allow the sugars to caramelize. Leaving the onions for too long will cause burning, while stirring constantly will prevent them from caramelizing. The heat usually needs to be adjusted during cooking to help maintain this balance. Caramelized onions can be cooked until they are soft, brown and sweet, or they can be cooked slowly for even longer, until they lose nearly all their moisture and start to become crisp. 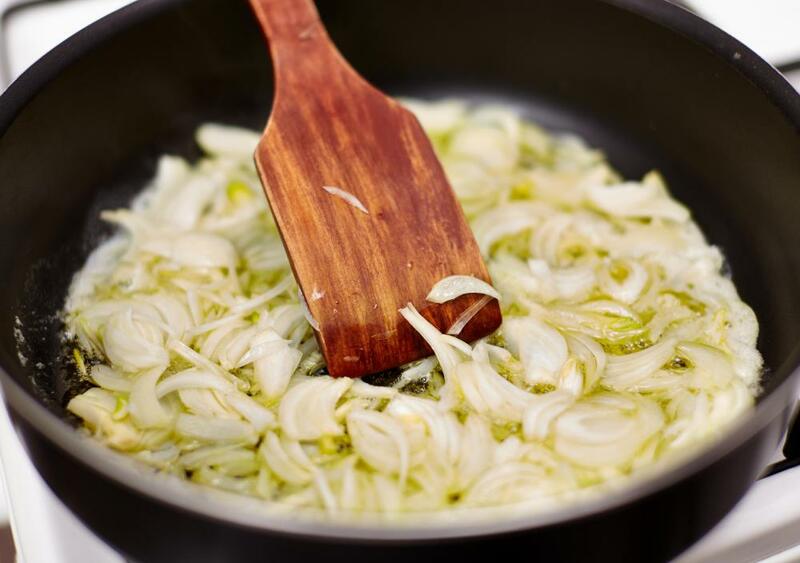 In either case, the bottom of the pan might have browned pieces of onion stuck to it that can be removed by adding a small amount of water, wine, vinegar or stock to enhance the flavor of the caramelized onions. Once the onions are done, they can be included in recipes or jams, served as an appetizer or snack, or even placed in a jar and canned for later use. What Foods Work Well with Caramelized Shallots? What Is a White Onion? What Are the Best Tips for Making Caramelized Onion Pizza? What are the Best Tips for Baking an Onion Tart? How can I Make French Onion Soup?